Warm ladies' jacket made of softshell and smooth, quilted fabric. It has a stand-up collar with a detachable hood. 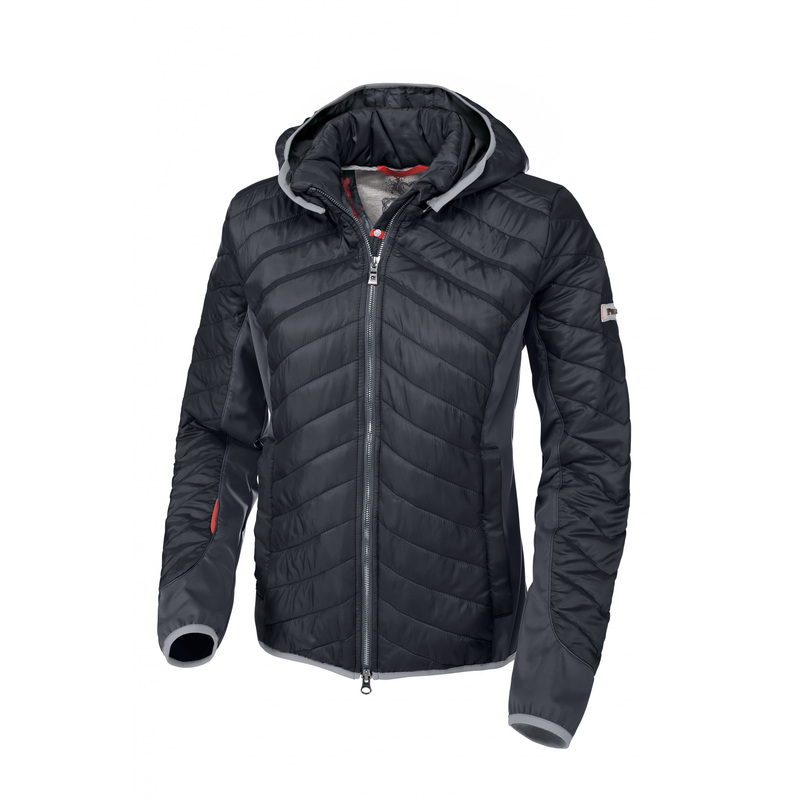 It is comfortable and breathable. Its zip can be fastened both ways. There are two comfortable zippered pockets on the front. 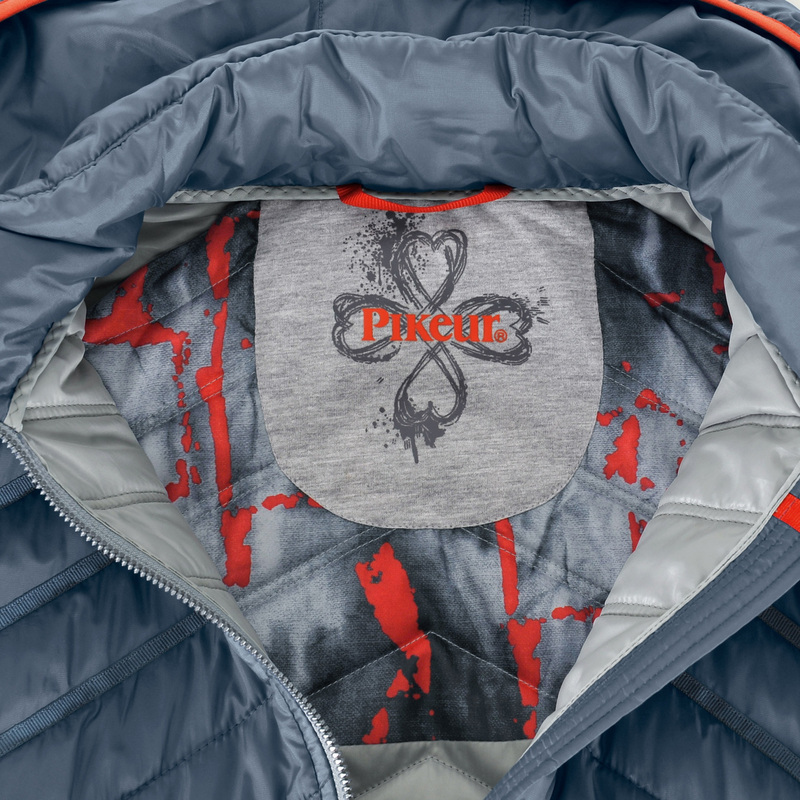 The jacket is decorated with a badge with Pikeur writing on the left shoulder.